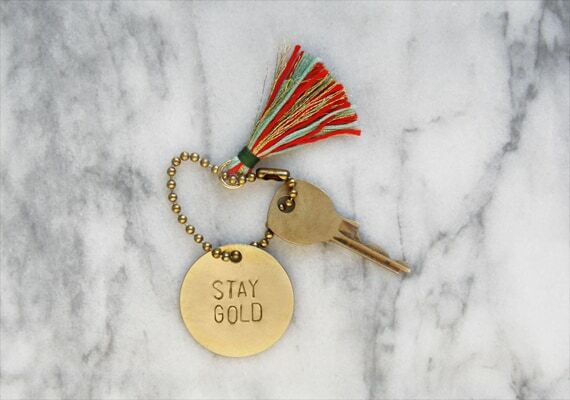 These DIY personalized keychains make thoughtful gifts for all occasions. Everything from leather craft to beads and shrink film projects! 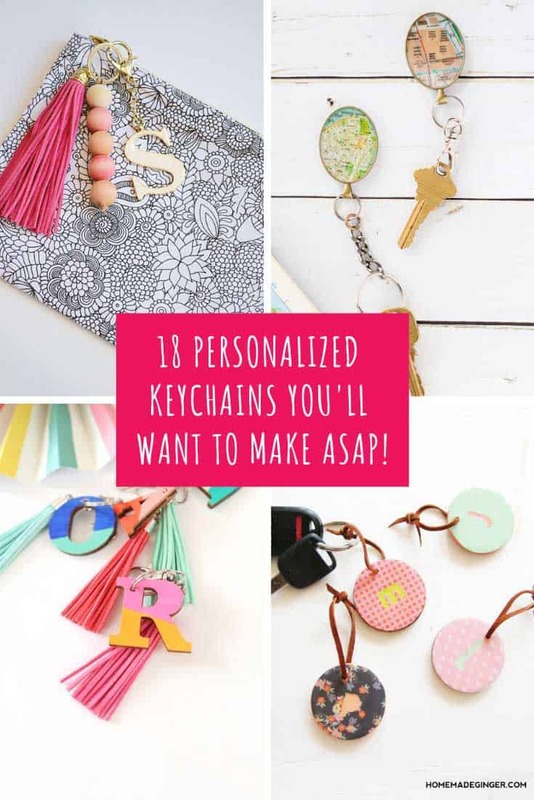 Y’all are loving our DIY keychains series and I’ve had reader requests for personalized keychains so that’s exactly what we have for you today! 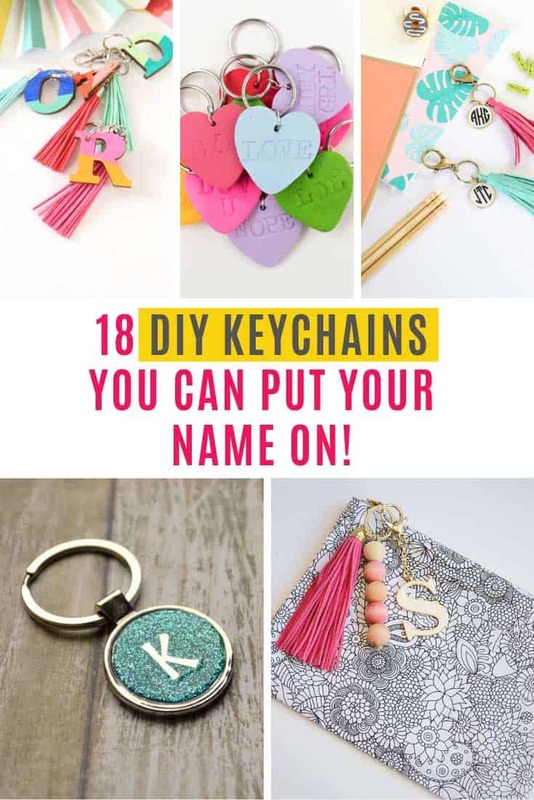 I found so many brilliant keychains you can put your name, or monogram initial on. There are kid friendly crafts in this list as well as DIY projects for you to make. 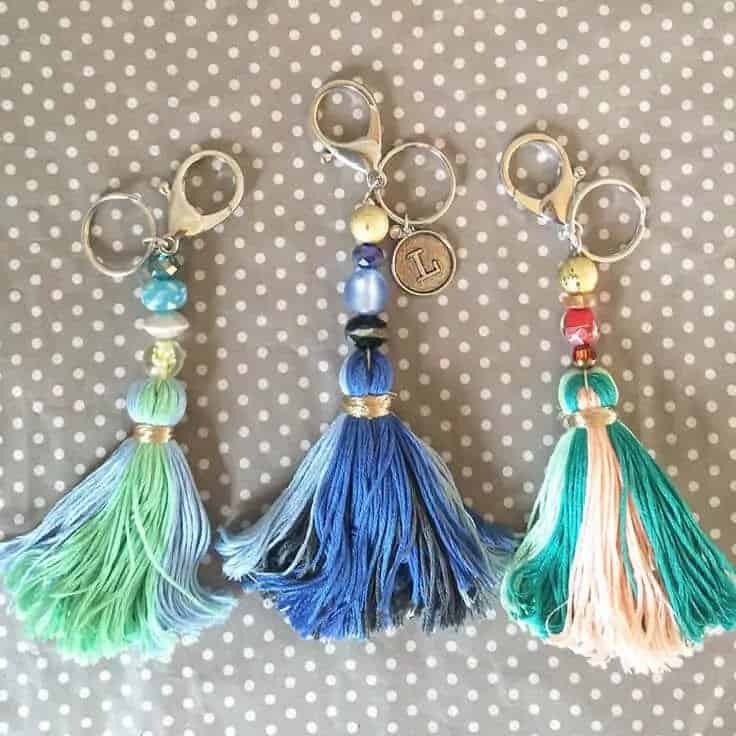 These keychains will make unique and thoughtful gifts for new graduates, Father’s Day, housewarming and even Christmas stocking stuffers! 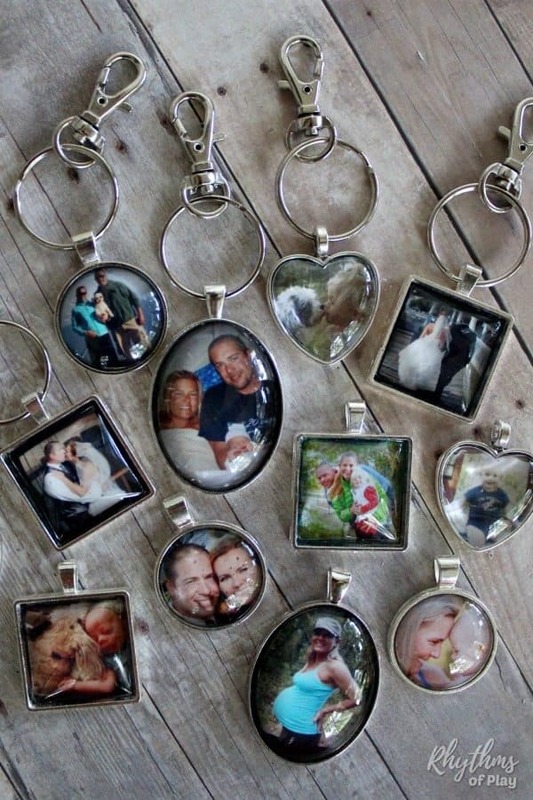 If you’re looking for DIY photo keychains how about these? I love how you can make them in all different shapes and they would make wonderful gifts. Pop a wedding picture in for the new bride and groom when they get back from honeymoon, or a baby picture for grandma to carry on her keys? Or how about a monogram keychain? If you love a Mod Podge craft this is the one for you and they are surprisingly quick to make too. Cute idea for a party favor I think! This would be such a cute way to let your Dad know that he’s about to become a grandpa! Of course it would make a fabulous Father’s day gift too. 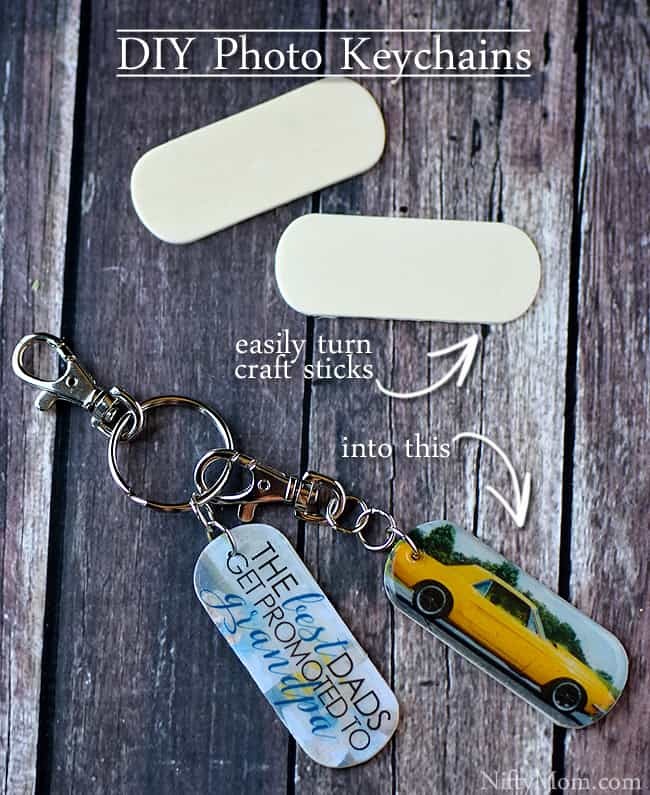 If your dad is a car lover you can put a picture of his favorite car on the keychain, or how about a family photo, or a scan picture! Oh how SWEET are these! 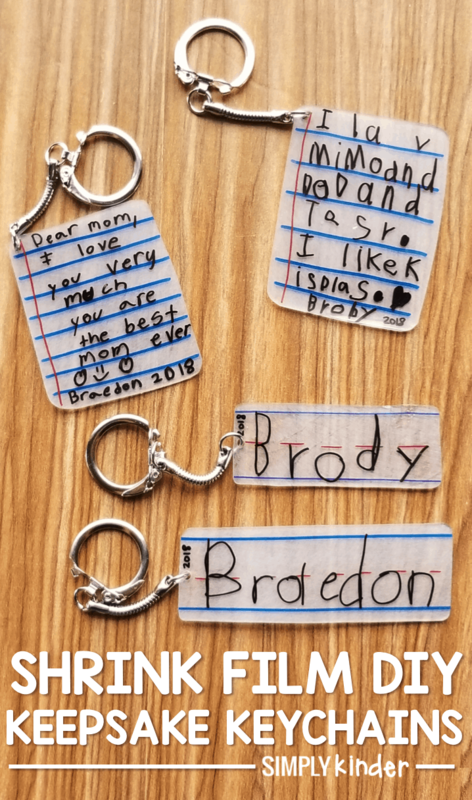 The perfect way to capture the innocence of your child’s handwriting! They’d be a perfect gift for Mother’s Day or for a grandparent! Did someone say glitter? Oh yes! 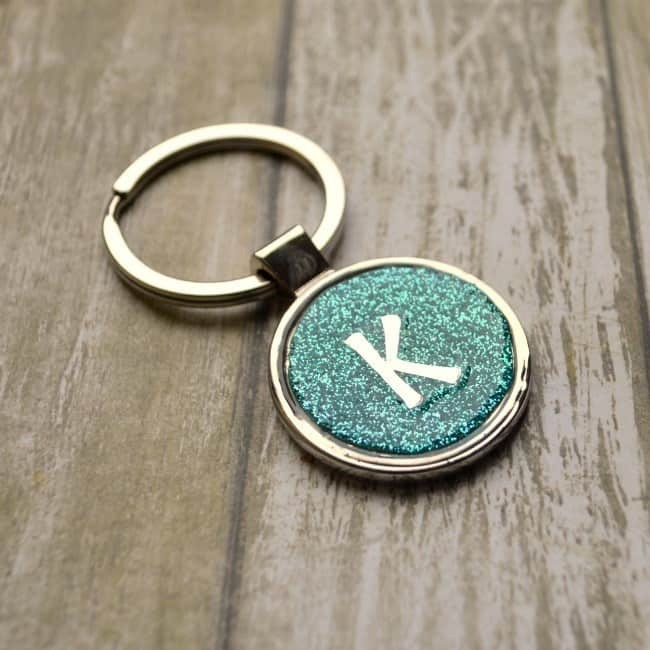 Add some sparkle to your keys with this fabulous DIY monogram keychain. They’re a good excuse to test out some Mod Podge Dimensional Magic too! 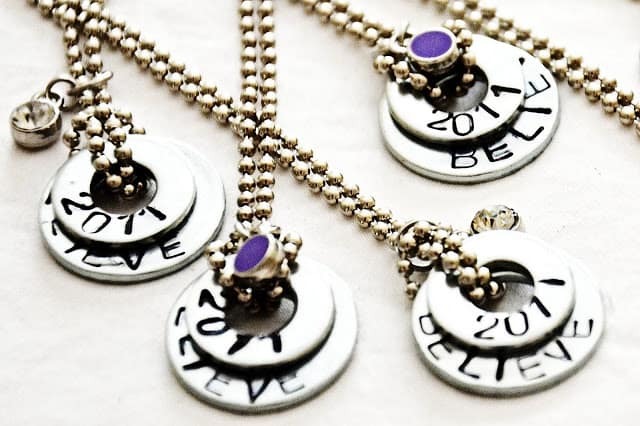 Ok this tutorial actually shows you how to make stamped washer necklaces, but all you have to do is attach a keychain instead of a pendant chain. I love these because you can personalize them any way you like. They’d make lovely graduation gifts I think, stamped with the year and their name, or the year and an inspirational word. Wow! These leather keychains look super stylish. Like something you’d buy from a store for sure. And if you’ve never worked with leather before this would be a good project to get you started, because it’s easier than you might think. 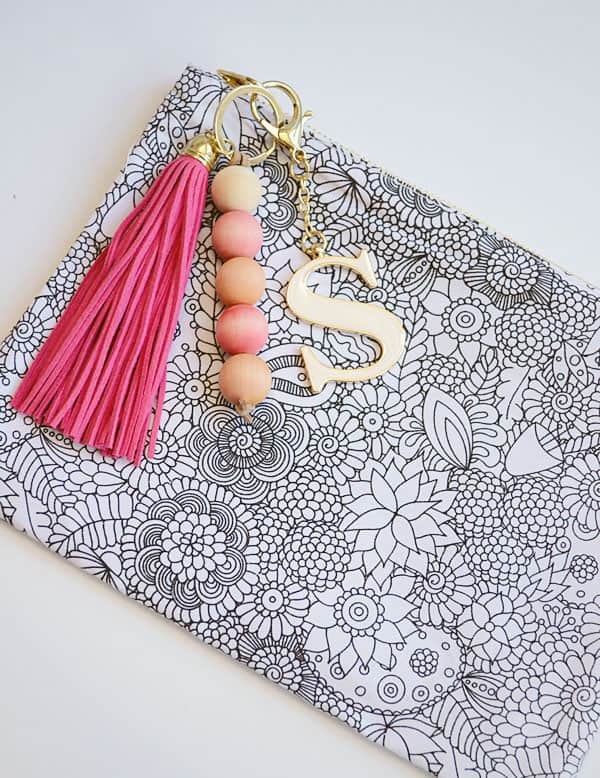 Ooh if you’re looking for something stylish but whimsical then how about this beaded keychain with a tassle and a monogram letter! If you think it’s too bulky for your keys just use it as a bag charm instead! Ready for a upcycling craft? I know how much y’all like to hang out at flea markets and repurpose stuff! 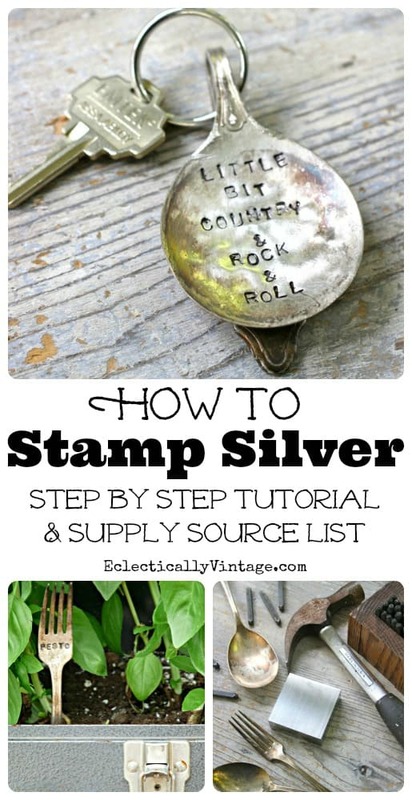 I love this idea of taking some vintage silverware and giving it new life as a personalized keychain! 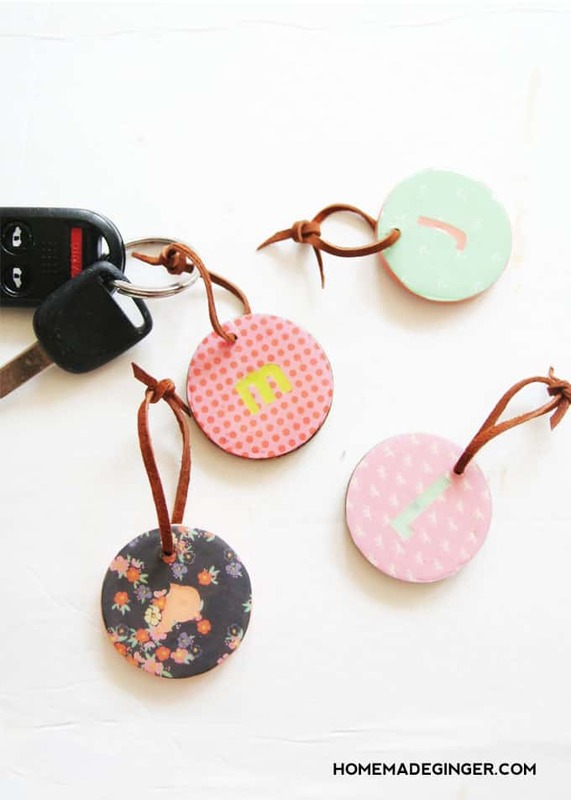 If you like working with metal stamps then try this keychain tutorial. 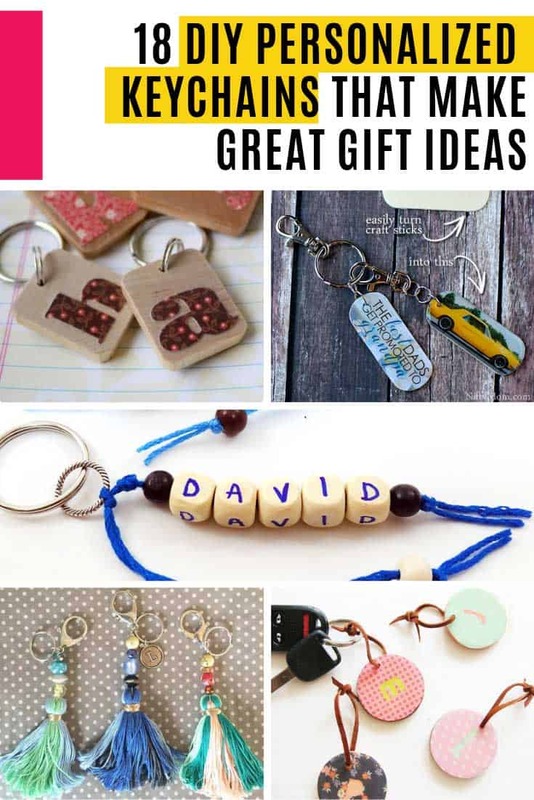 You can stamp on a name or a message for a fabulous gift idea! 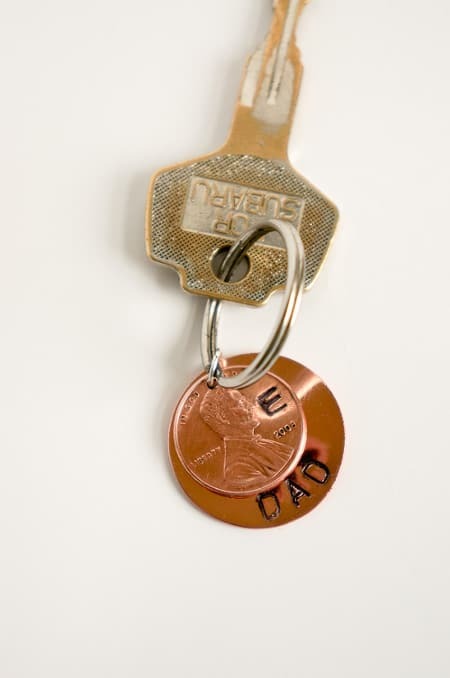 While we’re on the subject of brass stamping, here’s another neat idea to make a lucky penny keychain for dad. This would make a wonderful Father’s Day gift, especially if you can find a penny from the year you were born! 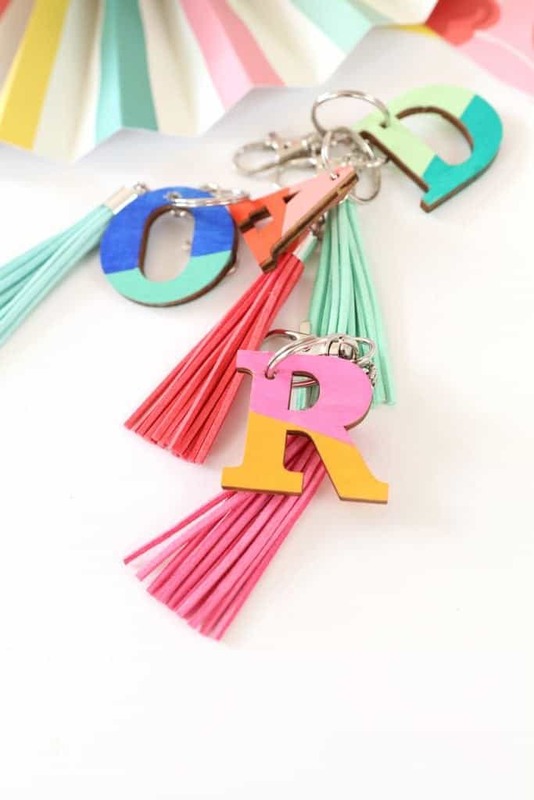 Here’s a keychain craft that the kids can get involved with by painting the letters. It’s really simple to put together and looks super stylish! 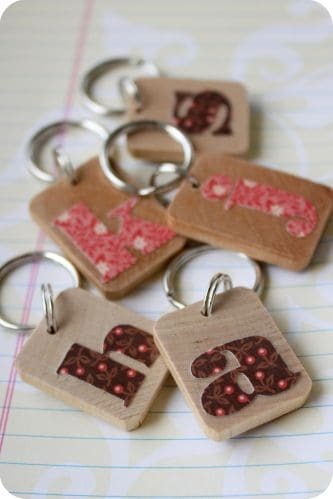 Or how about this DIY keychain with the very trendy three initial curved monogram letters? Let’s stick with the tassels for a minute for this fabulous design which also includes beads and of course a monogram tag to personalize! Ooh how about a clay project? 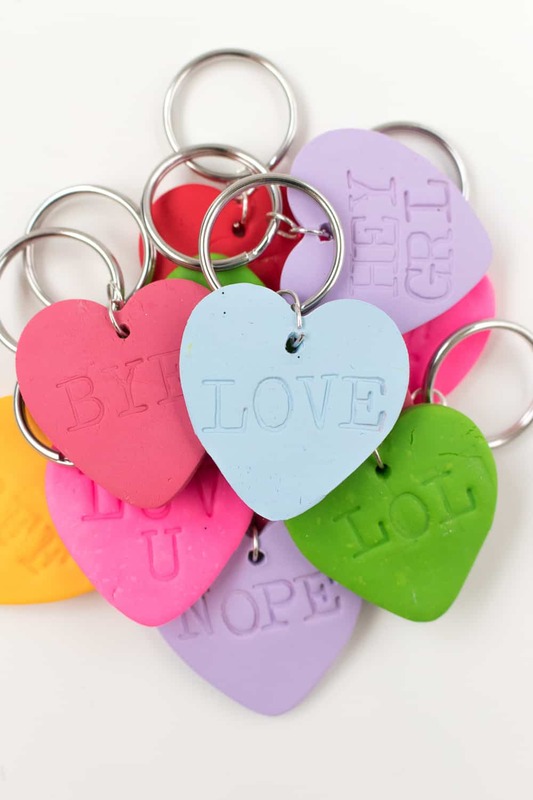 I love these little heart keychains that use the short sayings from the Candy Hearts sweets! 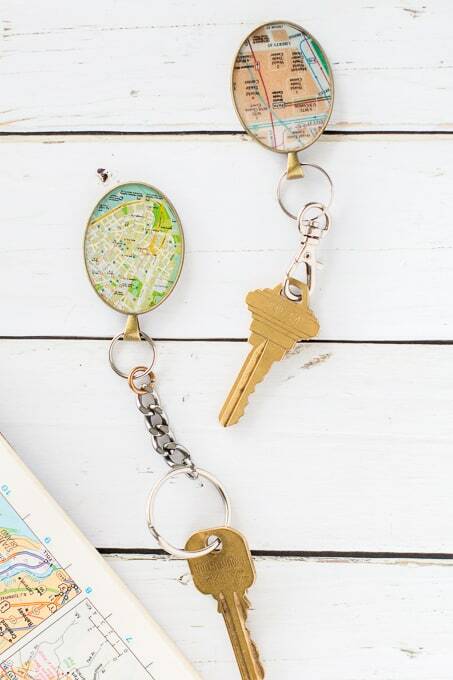 Personalized keychains don’t have to have a name on them, how about these fabulous designs that include a map of somewhere that’s close to their heart. You could give this to your Dad on Father’s Day and include a map of his hometown. Or how about a map of the new city that you graduate is headed for on the next part of their life adventure! This craft is kid friendly and fun for all ages! 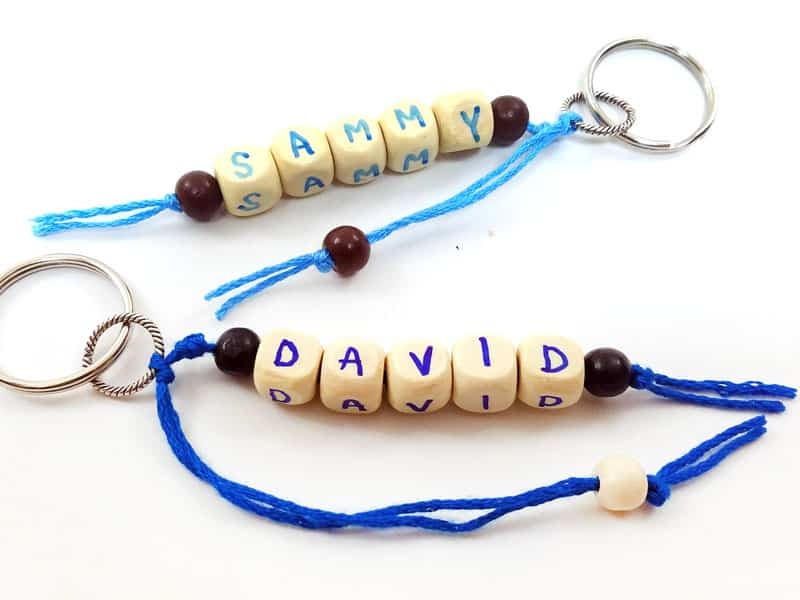 They’re perfect for preschoolers who are learning to spell their own names but older kids will have fun making them too. And of course they are very boy friendly! 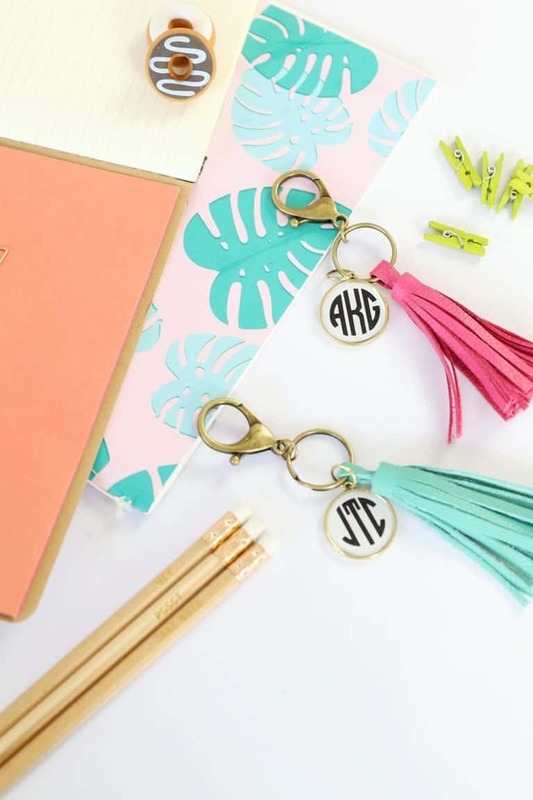 Oh I like these monogram keychains! Simple, but stylish and perfect for using up those scrapbook paper scraps you’ve been keeping! 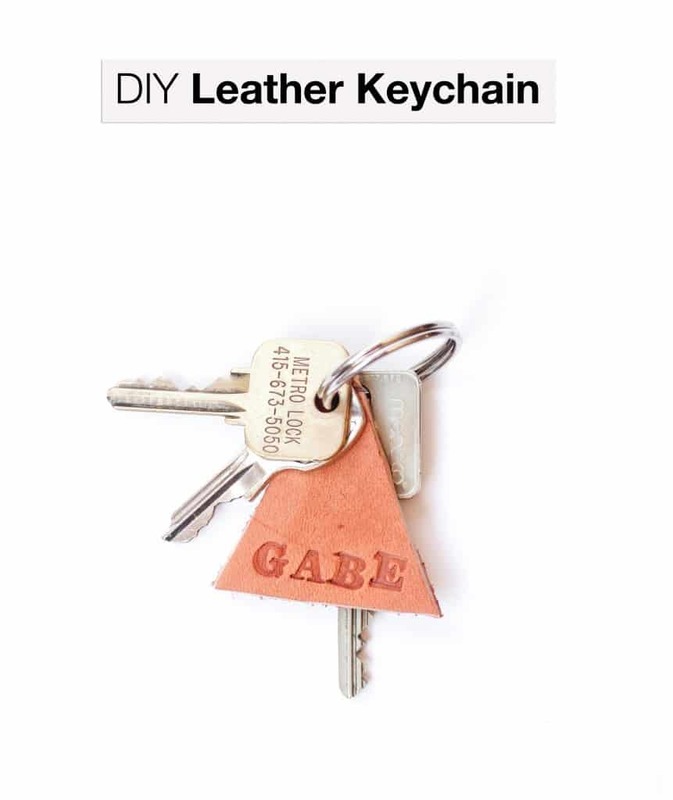 Here’s another leather keychain DIY for you but I just had to include it because I love how Rachel decided to use a triangle rather than the usual rectangle keyfob style. 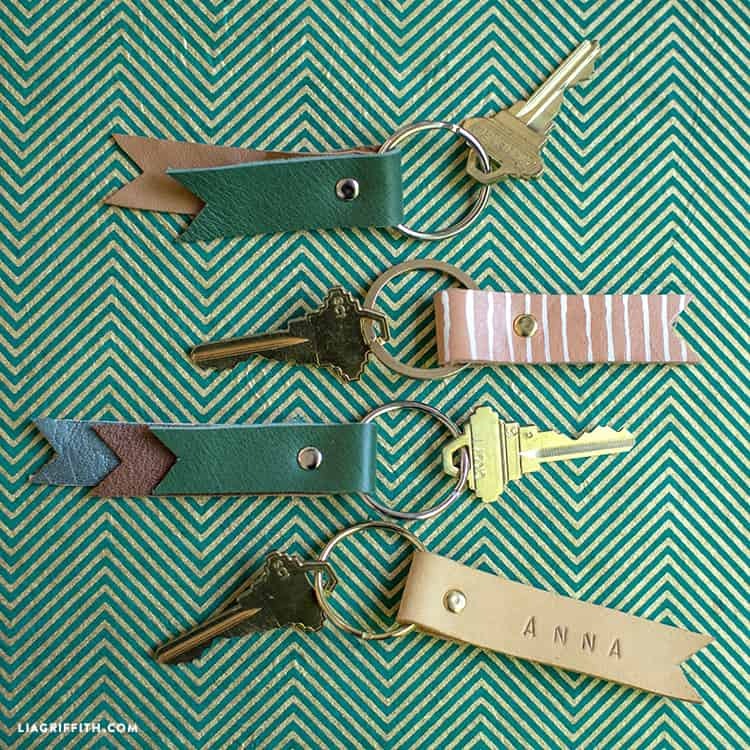 If you love your leather DIYs this is a great “scrap project” for you. Next PostNext 7 Comic Book Bullet Journal Weekly Spread Ideas You’ll Want to Try!